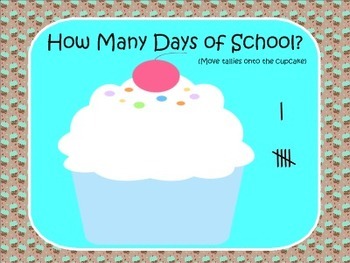 The Cupcake Morning Pack includes 4 interactive daily activities; morning attendance, practicing yesterday, today, and tomorrow, tallies to count how many days you've been in school, and rolling an interactive die to determine a pattern to create. 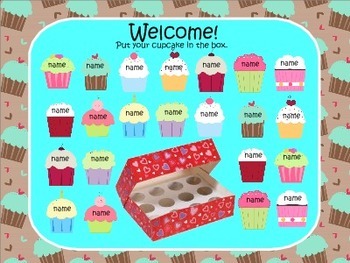 Directions are included for customizing to fit your class and needs. 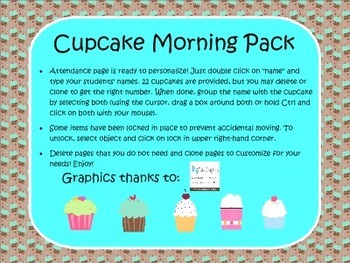 Your class will love this morning warm-up!